With insufficient space for new burial plots in the old graveyard by the twentieth century, a new graveyard was laid out in a field on higher ground in close proximity to and to the north-east of the old graveyard. 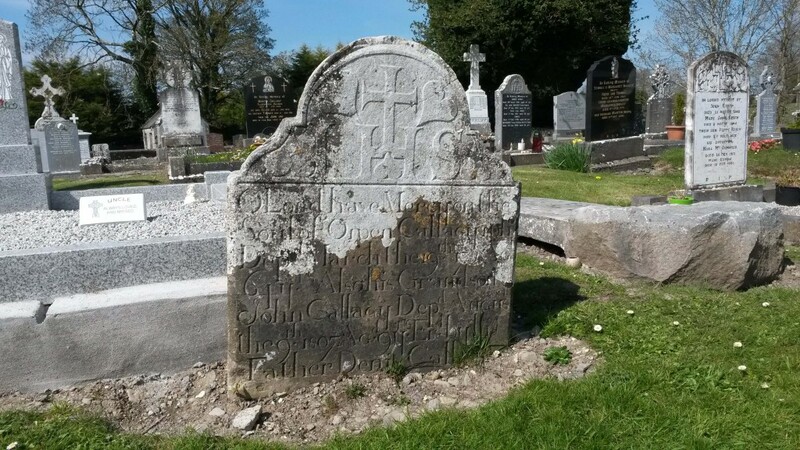 Burials continued into the twenty-first century at the old graveyard, however, to accommodate deceased members of families who held burial plots in the old graveyard prior to the construction of the new graveyard. 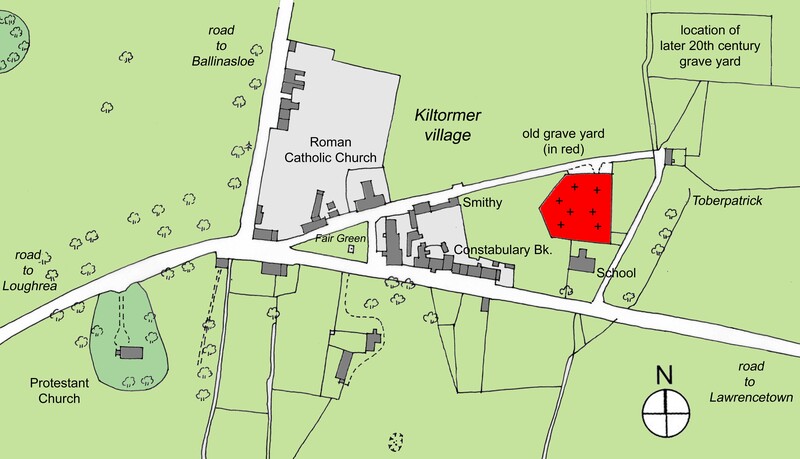 Map by the author showing the location of the old graveyard at the village of Kiltormer (in red) in the late nineteenth century, with the location of the later twentieth century graveyard shown to its north-east and the location of the early nineteenth century Protestant St. Thomas’s Church to the west of the old graveyard and village proper. 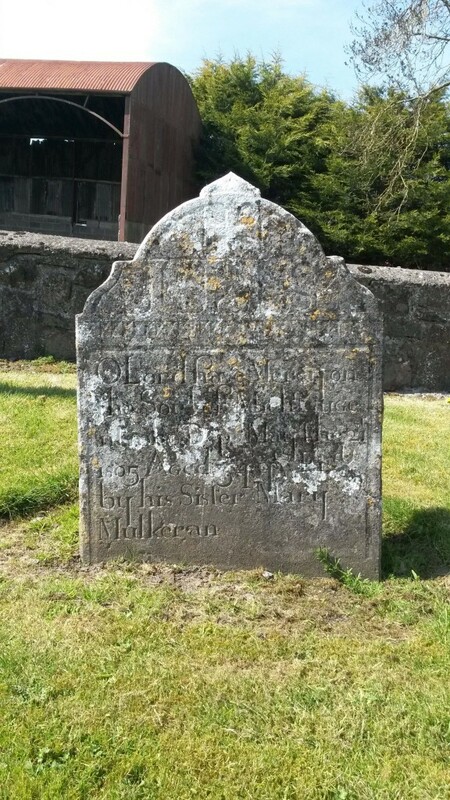 The following is a selection of burial inscriptions surviving at the old graveyard at Kiltormer village. 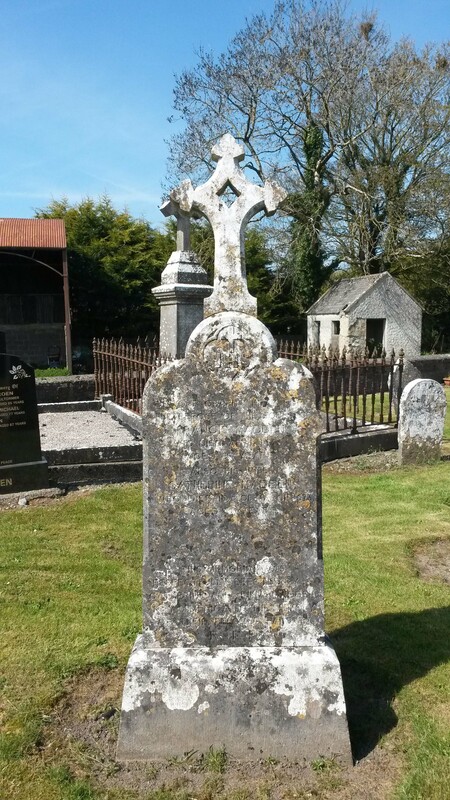 Many of the older headstones would appear to have been reset in an upright or more upright position circa 2014. 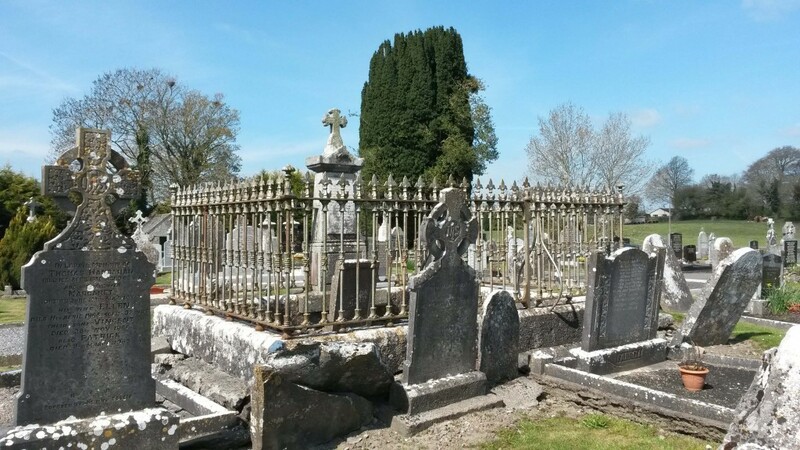 Two burial plots were contained within iron railings by the late twentieth century, one of which was that of a Pelly or Pelley family. 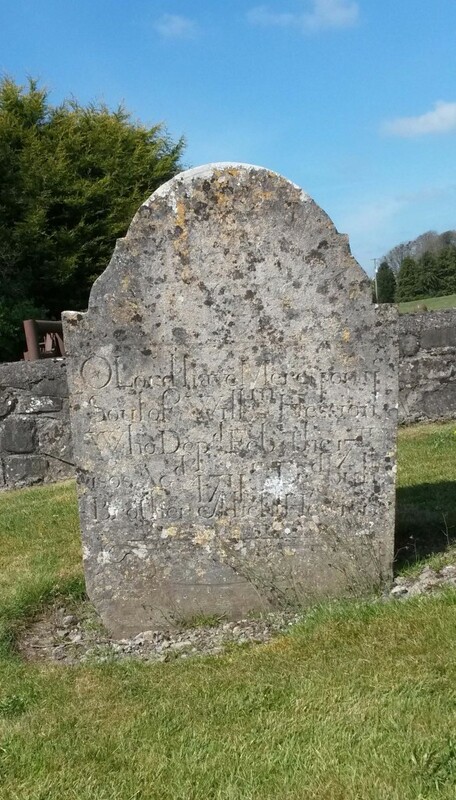 The burial place of the Pelley family in the south-east corner of the old graveyard at Kiltormer. 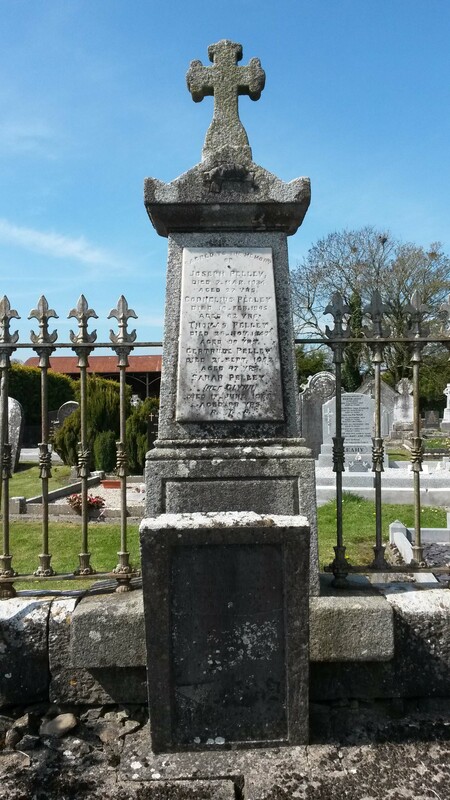 A Roman Catholic, this Cornelius Pelly was also known as Connor Pelly and was given in the 1958 edition of ‘Burke’s Landed Gentry of Ireland’ as the son of Thomas of Springfield who died in 1802 and nephew of Peter Pelly of Kill, Co. Galway, sometime Captain in the army of the Elector of Bavaria, who died in 1792 and whose recumbent armorial slab is located in the sacristy of Portumna priory. 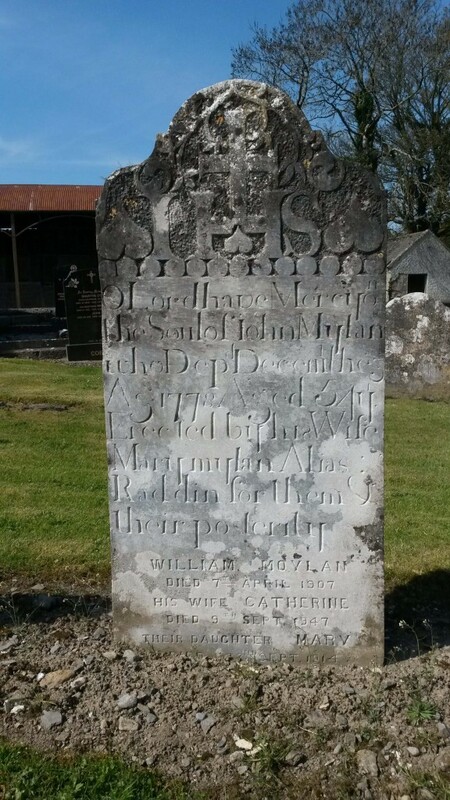 He was also nephew of John Pelly of Kill, who served at one time in the Austrian army and who died between 1795 and 1797. 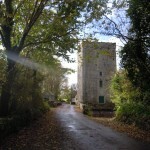 As such Cornelius was a grandson of Hyacinth Pelly, only son and heir of Peter Pelly, the latter who died in 1690 or 1691 and whose paternal estate had been subject to confiscation by the Cromwellian authorities in the mid seventeenth century and who was allocated lands thereafter in the parish of Killoran. 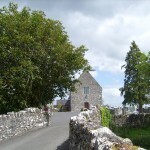 In 1676 and 1677, following the restoration of the monarchy, Peter Pelly was confirmed a sizeable estate, including eight hundred acres in the baronies of Longford and Clonmacnowen in east Galway, about the northern fringe of the former medieval O Madden territory, with lands in Attegey in Kiltormer Parish, in Ballyowly in the parish of Killoran, about Clonepreisk and Gortenery near Duniry and in Tristaan and Killerin in Clontuskert parish. 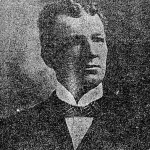 [iii] He would appear to be the same Peter Pelly who was also granted at that time almost one thousand acres in County Roscommon and almost six hundred and fifty acres in County Clare. 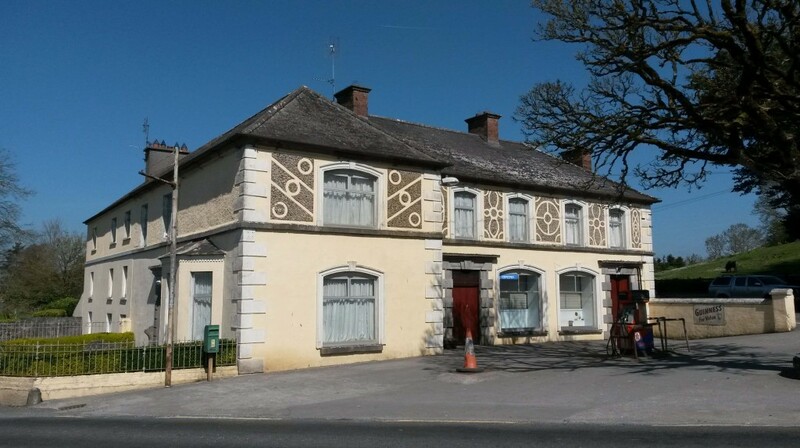 Only one individual of the name Cornelius Pelly was recorded in Sir Richard Griffith’s ‘Primary Valuation of Tenements’ as occupying land in County Galway about 1857 and he was the same individual identified as Connor Pelly. 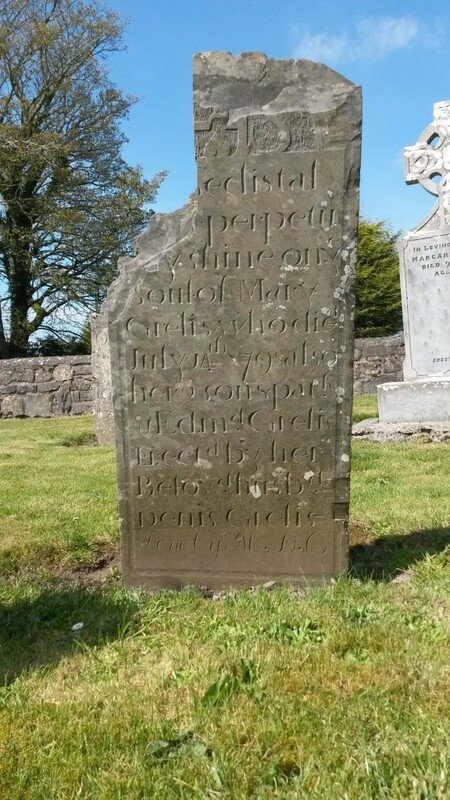 As Cornelius Pelly he was given as renting a share of a portion of land in the townland of Ballyfintan in the parish of Abbeygormacan from Lord De Freyne. 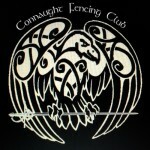 As Connor Pelly he was given as leasing the largest house in the townland of Gortymadden in the same parish, with outbuildings and thirty acres of land from James Smith. 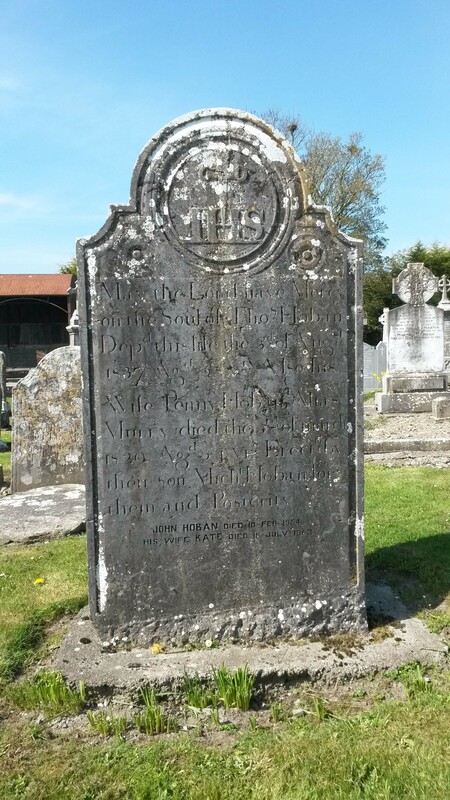 [vi] Also in the same parish Connor Pelly rented approximately sixty acres of land in the townland of Liscoyle from Henry Trench and a herd’s house and seventy three acres in the townland of Foxhall from Sir Thomas Redington. 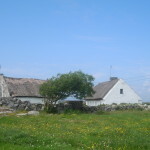 In the nearby parish of Kiltormer, in the townland of Coxtown, he rented one hundred and ninety six acres from Michael Fitzmaurice. The house occupied in the mid nineteenth century by Connor or Cornelius Pelly at Gortymadden. 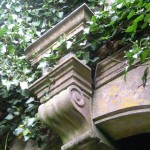 The oldest part of the building appears to have been the three storey structure now located at the rear of the house. This three storey structure appears to have formed the house in the mid nineteenth century and to which was later added a two storey extension. In later years this extension became a public house. 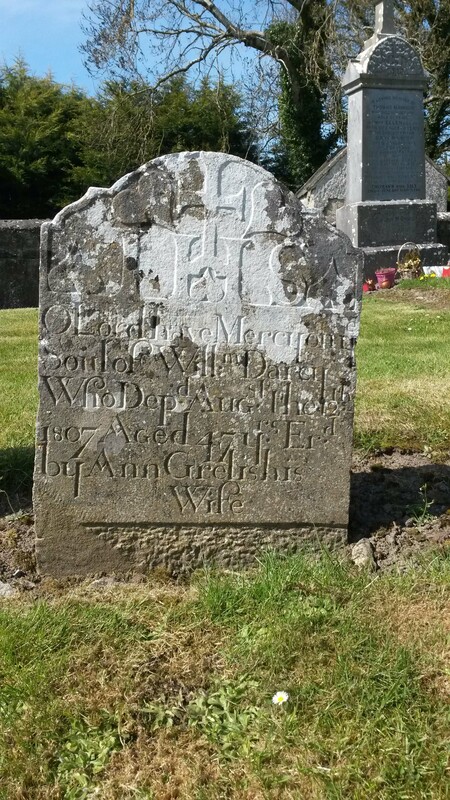 The above-mentioned Sarah Glynn was wife of Thomas Pelly of Springfield and was resident there with her husband and children and her brother-in-law Cornelius at the time of the taking of the 1901 and 1911 census of Ireland. They had at least six children, two sons, Patrick, born circa 1895 and Joseph and four daughters; Kate, Margaret, Gertrude and B. Agnes. Joseph was living at Springfield when he was killed in an accident in 1934. 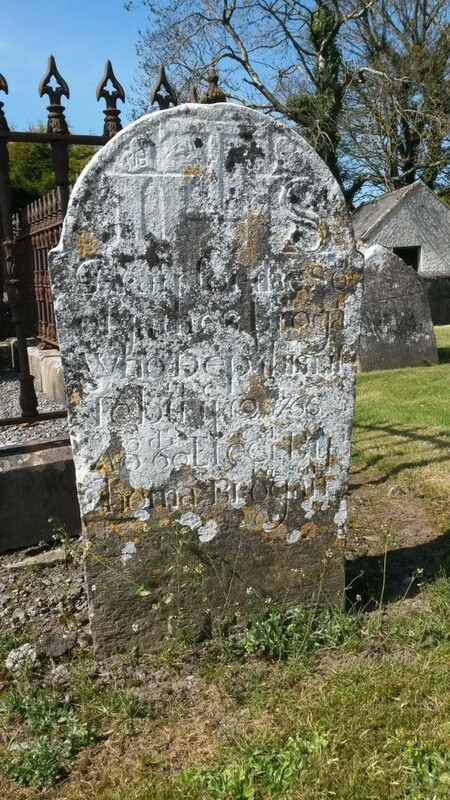 A date of what appears to be 1780 or a year in the 1780s was inscribed on a heart atop the headstone and may relate to the date of erection. This stone appears to have been reset in an upright position circa 2014 and was cleaned about that same time. 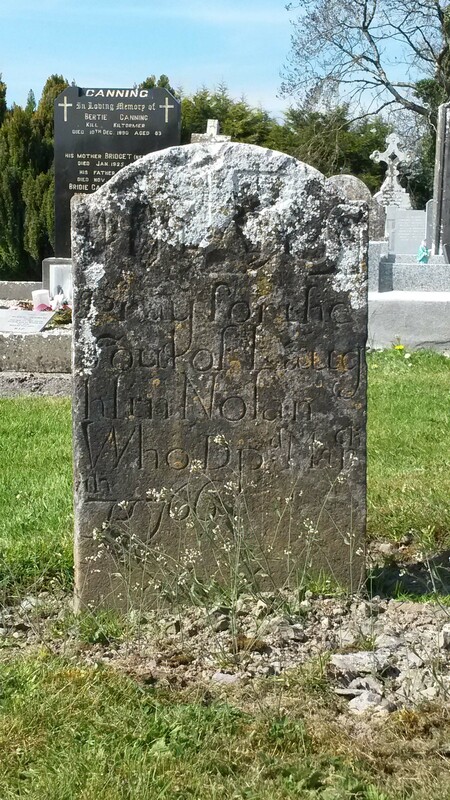 The inscription would appear to have carried an initial error with regard to the placing of the word ‘Aged’ but the headstone was nonetheless used. 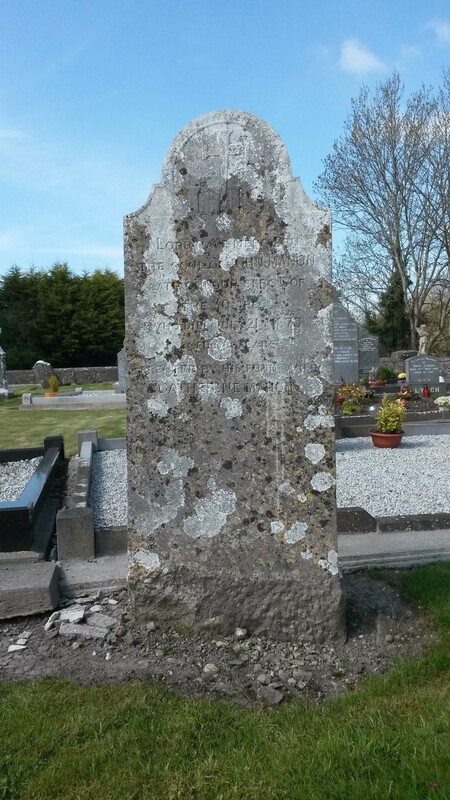 At the base of this stone was carved a shepherd’s crook and a shears, a likely reference to the employment of William Hession. 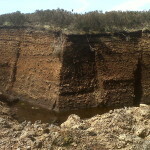 This stone also appears to have been reset circa 2014 in a concrete base, with a section of its original uncut stone base protruding above ground level. This stone was reset circa 2014 with part of its original unfinished stone base evident above ground level. 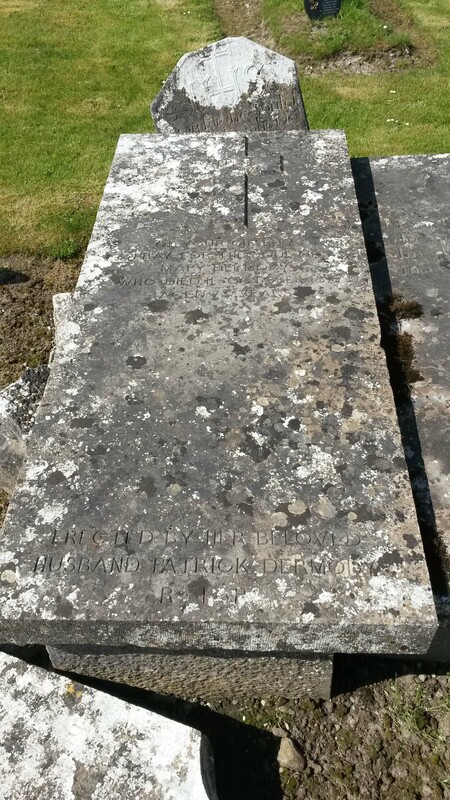 [i] O Donovan, J. and others, Letters containing information relative to the Antiquities of the County of Galway. Collected during the progress of the Ordnance Survey in 1839. Vol. 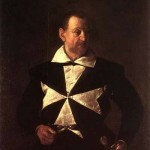 2, p. 113. Letter dated Loughrea, 6 November 1838. [ii] Lewis, S., A Topographical Dictionary of Ireland, London, S. Lewis & Co. , 1837. [iii] MacGiolla Choille, B. (ed. ), Books of Survey and Distribution, Vol. III, County of Galway, Dublin, Stationary Office for the I.M.C., 1962, pp. 126-7, 187, 197, 202. [v] Pine, L.G. (ed. ), B. Burke, Burke’s Genealogical and Heraldic History of the Landed Gentry of Ireland, 4th edition, London, Burke’s Peerage Ltd., 1958, pp. 566-7; The Kelly of Kellysgrove pedigree in NLI, Dublin, G.O., Ms. 205 (Will Pedigrees, Vol. 3, pp. 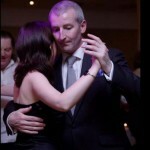 278-9) does not give any Michael Kelly in the family pedigree. 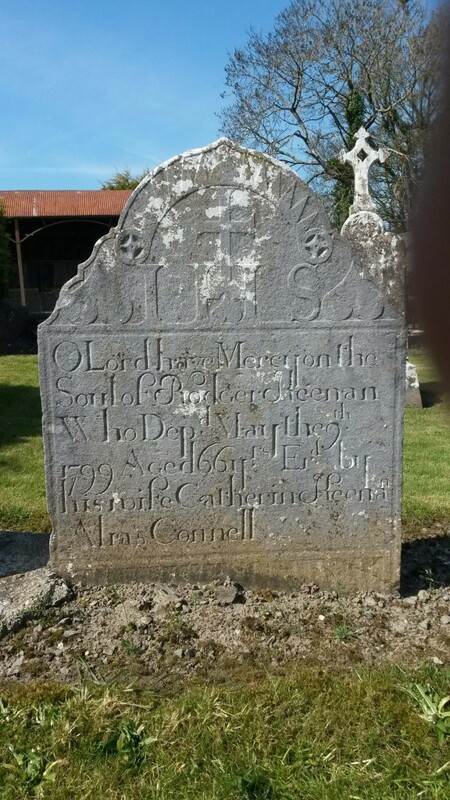 [vi] The entire townland of Gortymadden was at this time the property of James Smith, who resided elsewhere. [vii] Freeman’s Journal, 28th May 1862, p. 4. [viii] Tuam Herald, Saturday 7th February 1863; Freeman’s Journal, Tues. 10th Feb. 1863, p. 3. [x] Freeman’s Journal, 20th Jan. 1848, p. 1; Western People, Sat. 9th May 1891, p. 1; Freeman’s Journal, Wed. 10th August 1870, p. 6. Births; ‘Pelley – August 5, at Gurtymadden House, the wife of Patrick Pelley, Esq., of a daughter; The Loughrea Illustrated News, 1st September, 1875.